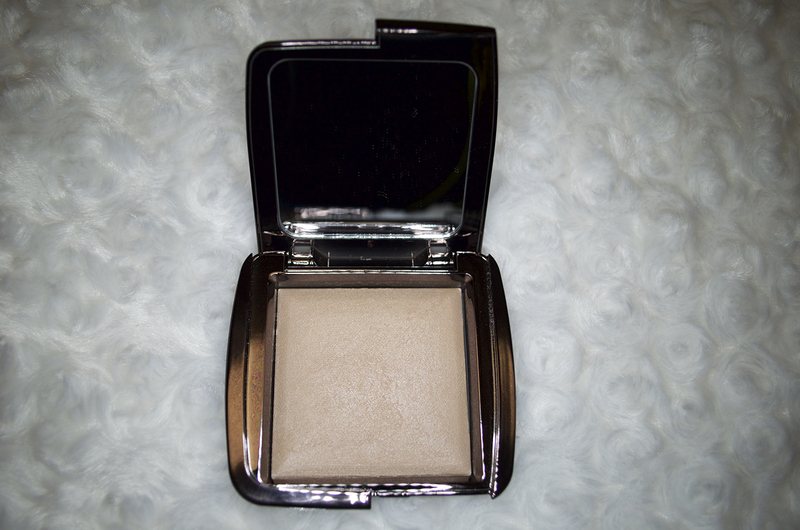 I have wanted the Luminous Light powder from Hourglass for such a long time because I love the texture of Hourglass products so when I heard that this was perfect for a natural glow I knew I had to have it. The only downside was that it costs $45 which is ridiculous. I knew that it would be something I would purchase if there was a huge discount or if there was some promotion. Well luckily Sephora sent out a $50 promo to people who didn't get a chance to get the epic rewards and I was so happy. But was the $45 worth it? It looks beautiful in the packaging and I was definitely excited when I first got. The texture is soft but not as soft as the other powders, I felt like the little pieces of glitter could be felt with the texture which I found unusual. That's another thing, I thought this was supposed to be a very subtle glow except it didn't seem like I would be getting that kind of glow on my face. 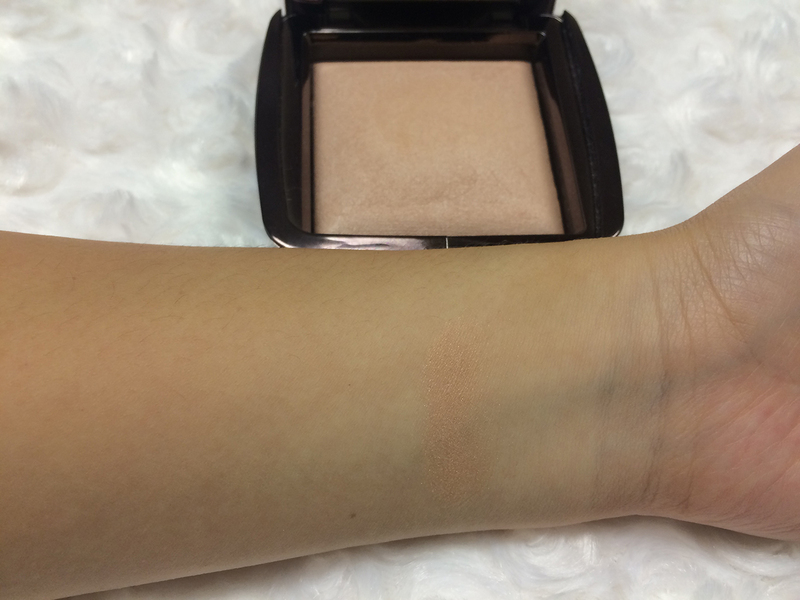 This swatch is without flash, it seems like it is somewhat orange on my skin tone but that might be the lighting. You could also see the tiny pieces of what looks like chunks of glitter. Here is the swatch with flash, you can see that it looks quite intense. After applying it on my face I realized that this was no match against Laura Mercier's matte highlight or Becca's Moonstone and Champagne Pop which I also did a review of. I feel like maybe if this was layered with something else it would give that extra glow. Overall, I feel like I was definitely disappointed with the product. Maybe I will keep trying it out and hopefully it starts working for me. I did layer this product a lot but I'm thinking that maybe it's my skin tone that the product didn't work with. I really want to like this product but right now I feel like it isn't worth $45. 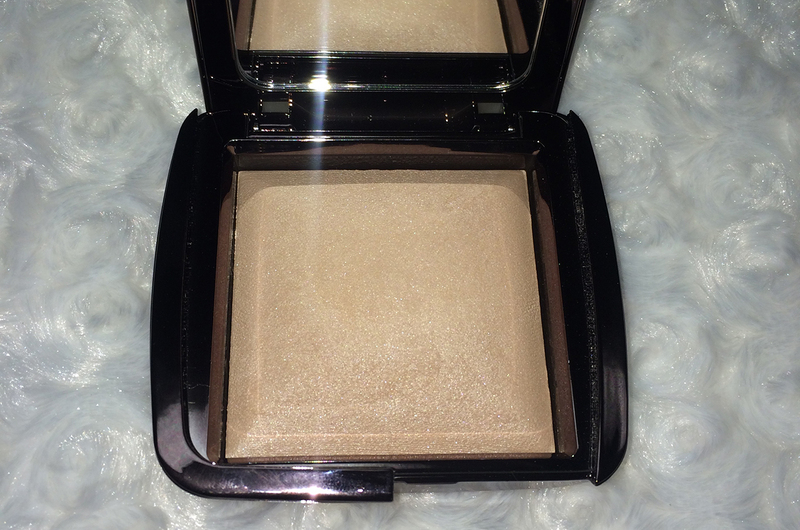 If you want a good highlighter then check out the ones I mentioned in this post. 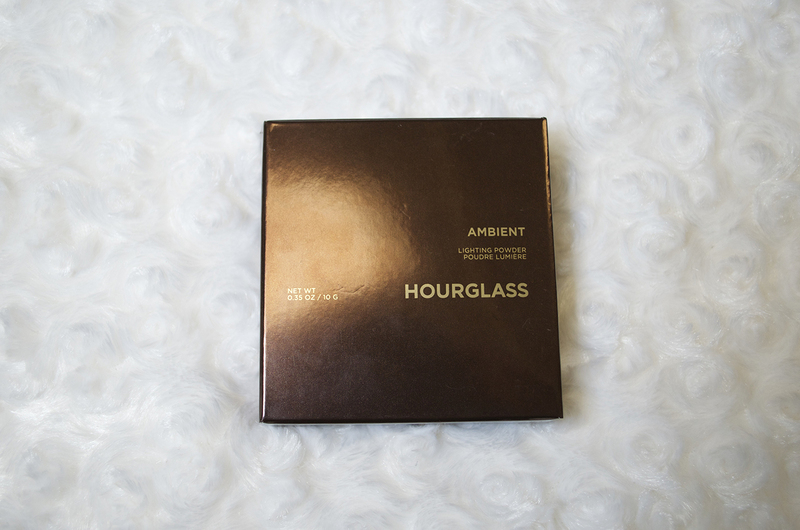 Do you own any Hourglass products? I keep on reading reviews about the ambient lighting powders and I can't make up my mind on whether I want one and which one I'd want. I find it really difficult. I honestly tried to love it but it's impossible. I feel like they're overrated even the palette.